If you hang out in the dungeons and attics of the Transformation Blueprints like I do, one of the omnipresent confessions that is crucial, but not making it into the public domain YET, is that classroom activities and experiences are now “aims-based” or “goal-directed,” not “subject-matter based.” History, math, literature, or science course names still get used, but it hides the new broader purposes of social change. They have ceased to be, unfortunately, ends in themselves. The very phrase “standards-based” over the last two decades is also intended to hide what is indisputedly a shift to a personal behavior emphasis that is still too obscured. This post is designed to remedy that and build on the facts and declarations laid out in the recently finished APUSH trilogy as well as particularly Chapter 7 of my book–“What if Common Core Actually Limits What Everyone Can Know or Do While Targeting Feelings, Beliefs, and Values Instead?” The Question that Grows in Pertinence on a Daily Basis. Often times the best way to illustrate what is being required in education is to consult a professor in another area, who is unlikely to mask his statements about what is intended. Do you remember the London School of Economics where that troubling Fabian Stained Glass window has now found a new home? As a symbol of reverence, not infamy, unfortunately. Thanks for the honesty even if it is tucked away. Keep in mind the calm assertion that “Behavioural scholars have, however, clearly established that the linear, information-deficit approach [aka Transmission of Knowledge of the Best that has Been Thought or Done by the Sages of the Past] to education is insufficient in promoting behaviour change.” Since we have been concentrating on what these Aims and Goals do to history coursework, let’s end with the recommendation that this Normative view of the purpose of curriculum results in a suggestion for “shifting away from scientific facts as the primary discourse in sustainability.” That ‘s why it’s so important to emphasize feelings and the Whole Child. It is why Procedural Knowledge gets so hyped now in the form of the Skills Deficit. That is the needed action-related process knowledge and how-to skills useful for real-world transformations. Effectiveness Knowledge now gets hyped because Beliefs about the Need for transformations in the present to alter the future are very much influenced by “perceived consequences associated with different behaviours as well as beliefs about who is responsible for given outcomes.” That’s the Aim that really finds factual knowledge to be an obstacle since it might prevent viewing the assigned Villains as culpable or notice that local politicians will blow even more money if given ever more planning power. But then I am no teenager and we have already concluded I would be on the first shipment to Perception Re-education Camps to extinguish Factual Knowledge as an Impediment to Fundamental Change. The typical adolescent will be easy prey though for classrooms built around: “One of the central ways for enhancing effectiveness knowledge is by focusing on problems that are locally relevant and at a scale with which students feel empowered to act, while also examining the positive impact of individual and collective change.” Lack of much factual knowledge, unless the parents have stepped in or the child is the rare fluent, voracious reader, means that a capacity or willingness to conceive of any negative impact is unlikely happen in most classrooms anymore. Finally, “social knowledge (i.e. norms) encompasses subjective and local knowledge including the motives, intentions and actions of other people. In order to enhance social knowledge, it is critical that sustainable behaviours are positioned as the normal and the desired way to act.” Objective, norm-referenced tests of knowledge have to go away quietly in this sought scenario for the future since they center on Declarative Knowledge. Radicals always needed alternative assessments to examine whether the desired behavior and attitude changes were occurring and what strategies and concepts are used when there is no correct answer and not enough information is given. Today’s Rigorous Assessments merely build on what was known as the New Standards Reference Examination in the 90s http://www.cse.ucla.edu/products/reports/TECH470.pdf Created again by the Mother of both Higher Order Thinking Skills as well as the related term Rigor, Professor Lauren Resnick. We should simply view them correctly as Cultural Activity Research on our kids with our tax dollars. Remember the ISCAR 2011 Conference in Rome, Italy? It’s all about Aims-Based Education too. Transformational Aims with Political and Social Purposes. Just like the Common Core or 21st Century Learning or Competency-Based Instruction now. It’s all about Behavior Change if we climb down to the dungeons or up to the attics or just trace back to the footnotes in the typical Aspen Institute Report. Those interested in fundamental transformations in the political and social spheres that is the Progressive View of the Role of History now need the tool of K-12 education, if not preschool as well, to reach those same Aims and Goals. It’s why so many education graduate degrees today openly trumpet their grounding in Change Agent Theories. To make students the mass carriers of new cultural memes and behaviors without most parents or the typical taxpayer even being aware of the shift. That’s the purpose of all the Orwellian language that has me climbing down, then up, and flipping back to those footnotes again and again. I may have to understand all this at a very nerdy level just bursting with facts and wordy declarations of intent to once again try out notorious theories in the real world, but that is not the level where most people live. When I explain what is intended in order to get real traction in the real world, I always have to find ways to bring these intentions into the everyday lives of my readers. Unfortunately, though, I am not the only one who understands that crucial point. In fact, the shift away from Declarative Knowledge to granting parity to subjective ways of knowing and interpreting, along with that targeting of Procedural, Effectiveness, and Social Knowledge we have just talked about, is all about meeting people and students at the level of knowledge that “guides conduct in everyday life.” Just the arena, in other words, if long-term behavior change is the admitted (if only quietly shared among insiders), new Goal or Aim of K-12 education. That’s what alternative ‘high-quality’ assessments like the NSRE above got at and what the Common Core and formative assessments get at now. It’s what adaptive software gets at as well. Then we have performance standards under their variety of masking names like College and Career Ready or Next Generation Learning to capture and then remediate over time behaviors, values, and attitudes that are not desirable for transitioning to the Planned Pathway for History. Not to mention what all the social and emotional programs being sold as Character Education or Bullying Prevention or Positive Behaviors for the Whole Child do. Am I finally reaching the everyday recognition of what is coming at all of us? In case you don’t recognize the significance of same of the names quoted in that report, they include Peter Senge’s Society for Organizational Learning-SOL-and his long-time collaborator Otto Scharmer (who has his own tag plus his Capitalism 3.0 tag). We also have Howard Gardner of Multiple Intelligences and Harvard’s Project Zero and Joseph Stiglitz who took part in Anthony Gidden’s Global Third Way Debate book and panel that we have looked at as well as heading the Subjective Well-Being (also tagged) panel that commenced in 2009 at French President Nicholas Sarkozy’s request. So please don’t tell me that this vision is unrelated to the so-called Great Transition or that the transformative learning described is not related to the US Common Core or the Australian Core Skills or the Canadian Learning for a Sustainable Future. It’s all the same interconnected ‘transdisciplinary’ vision and we will remain imperiled until we begin to realize this better. There’s a Goethe expression that keeps being quoted as part of this transformative vision. It goes “Knowing is not enough, we must apply. Willing is not enough, we must do.” We also need to take it to heart before deliberately kept ignorant credentialed Change Agents, and business professors who don’t understand how economies work, and self-interested politicians and their cronies and consultants blow up what currently works. We saw numerous well-compensated false statements in out last post, and PRME quoting, with pictures, George Bernard Shaw’s statement that “We are made wise not by the recollection of our past, but by the responsibility for our future” suggests we need to keep our Ignoramus alert gauges firmly in our hands at all times in 2014. If K-12 education reforms like the Common Core or blended learning or the college tour at that expensive Ivy League school confessed that the “time has come to initiate a fundamental change in the way we think and live,” the alarm bells that need to be going off now would start to peal in more people’s minds. And they would properly keep their wallets shut. Which is precisely why no one in school or higher ed administration or the public sector is being that honest. We have to rely on sleuthing like those Great Transition documents or unwise declarations like Giddens conceding that actual temperature changes do not really matter, it’s just all an excuse for desired social, political, and economic changes in the West. The “Management Education for the World: An Agenda” report is much the same way. Because it is linked but tangential to the area of most people’s focus, its authors are brutally honest about the entire picture. I will take a break in this quote as we think about how dangerous it is to have management students trying to earn degrees and get jobs in business or governments being told they are to “become custodians of society.” [italics here and elsewhere are in original report] It will be quite flattering to a twenty-something ego, but oh-so-dangerous to the rest of us for them to be trained and believe that is their acceptable 21st century role. Especially when we realize how few will have enough knowledge of history to know what Fascism looks like, what its dangers are, and why people wrote about ‘vampire economies’ in the 30s. This is the rest of the quote that I broke from (top of page 6). Please pay attention because we have to be the ones who recognize all this for the self-interested, rent-seeking, parasitic justifying nonsense that it is. This is not a minor report. 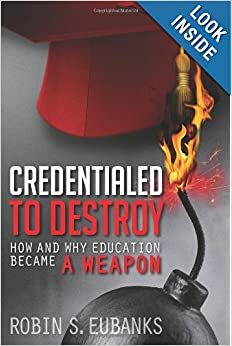 Now let’s end this with some of the names in K-12 education for just that very aim that we have covered on this blog. Assagioli called it psychosynthesis. Carol Dweck is doing CCSSI professional development webinars calling it Growth Mindsets. ASCD has a Whole Child Initiative that it wishes to be an essential component of the Common Core implementation. Personal experience is also the project-based learning being pushed now or hands-on science. References to head, heart, hands, and soul are rampant in the rhetoric being used by Superintendents. We called it Triune Consciousness in our League of Innovative Schools research. Transformative learning and perspective transformation are the real purpose of the K-12 reforms as well as college. It attaches to the same planned alteration of business and the economy as what the 50+20 report describes. No wonder we have legislators travelling around states bragging about the collusion going on between politicians and education administrators to promote this vision. They would have probably been more careful if they knew we had the rest of the story. The ‘portfolio person.’ Before I enrage most of you by quoting that definition in a stomach-churning way, I want to continue on the theme from the title of the last post. It is what caused me to pick out a phrase from one of Uncle Karl’s most famous quotes to illustrate the point. But I think we then turn around and forget it too easily. We are not dealing with Science or Politics or Education here that sees itself as defined by the traditional rules of play. CAGW is not grounded in the natural science of the Enlightenment. Education under the Common Core is actually not about the transmission of knowledge. Even the federal government in July acknowledged that Common Core was not a Product as in knowledge American students should know but a Process of interacting in “culturally relevant contexts.” Monday President Obama turned what had started as his campaign organization with a huge supply of emails into a permanent apparatus to be called Organizing for Action. Legislative, regulatory, whatever is achievable. What we are dealing with in each of these cases is Rule-redefining Science. Rule and Role-altering Politics. Rule and Institution-altering Education. And if we ignore the underlying political and social and economic theories they are grounded in after going to so much time and trouble to track them down, we are in deep peril. Fundamental Transformation is not just an exciting phrase to stir up supporters and get money. When the lights are off these terms revert to ambiguous language or worse, Orwellian duplicitous language. And we must still remember. Because no one is just playing rhetorical games here. Today’s title comes from yet another one of those books we were not supposed to see. Much less read in full. It is called Multiliteracies: Literacy Learning and the Design of Social Futures. That’s why I quoted the title in full. Designed Social Futures and not by each of us. Media learning, Cyberlearning, and Digital Learning are all means to an end most of us likely do not want to go to. We have to quit divorcing these methods from the stated intent of the creators of the theories. And he trains teachers. You know the only people who can be licensed to teach? And trains professors of teachers and administrators. And perhaps more importantly, he has spent the last 10 years since that book was published analysing video games. He views them as embodying a “more cogent and powerful understanding of the nature of learning than is in evidence in most classrooms.” So remember that desired goal and the ‘portfolio person’ image of the individual when you hear about the video gaming push that is part of the actual Common Core implementation (with funding from the Gates Foundation!). And also the Digital Learning mandate and the push to for the all-ICT classroom. It is influenced by the same goals for altered consciousness that Gee laid out above or Roy Pea put into that powerpoint from a previous post. You can bet your District administrators will be leaving this part out of their presentations. But it is still there and the social and economic rule redesign actual purposes remain intact. Even when left unsaid. Likewise, in 1994 English sociology prof Anthony Giddens wrote that “even should the thesis of global warming prove mistaken,” the “overall consequence” would still be “the creation of new types of feedback effects and system influences.” CAGW is a political theory that accretes economic and social power to government officials and their designated cronies. It offers a reason to exert control over private transactions and property and human activities and those system effects and influences are just too useful to pass up. Giddens went on to mention the UN’s IPCC and pointed out it will be setting up four possible emissions (carbon dioxide) scenarios. He was then brutally honest in what is clearly not designed to be read by us that these scenarios “could reflexively influence what it is they are about.” Just positing the theory and scenario, especially if it gains voluntary or formal adoption, changes behaviors in desired (if you are a statist schemer) ways. So if you are a scientist or just an interested citizen reading Paul Ehrlich’s latest hype of catastrophe or that US National Climate Assessment draft, please don’t forget Giddens’ quote above when the science quoted or the models used make no objective sense. Just the theorizing coupled with government power and financial resources changes human behavior. Gives an excuse for economic reorganization. A reason for more regulation. Think of it as a full-employment at taxpayer expense for political favorites theory. Because that is what it really is. But it is also more. German sociology prof Ulrich Beck wrote in the same book Reflexive Modernization that global warming and climate change give a reason for a switching of the rule system governments have lived by. He apparently thought in a post-Berlin Wall world governments in the West needed an excuse for a Metamorphosis of the State, which is precisely how he described it. A full reconstruction using what he called the sub-politics of the government system and you and I today would recognize as an early description of the potential of community organizing. I do believe ACORN’s creators knew their Beck. In fact Beck called it the sub-politicization of society. We would call it every dimension within the reach of the state. To plan a different future and then impose it and reconceptualize the role of the state in what “tasks” it should be managing. Hence the CAGW hype and the urgency in education and the need for an action politics that Beck also outlines. It is powerful and lucrative for the politically connected to be able to turn the world upside down. But it certainly does not follow that the world needs to be turned upside down or it will be good for any of the rest of us. In fact, in the end, this Political, scientific, economic, and educational vision could be ruinous if not tragic for virtually everyone. So let’s talk about the sought Transformations. And quit allowing the schemers in any of these areas to simply pretend we are not dealing with rule-altering intentions. It is not just politics as usual or a different way to teach or a difference over the relevant scientific facts. Let’s hold everyone to the declared intentions of the Creators of all these theories and scenarios.